Orange has reported a year-on-year drop in its 3rd quarter revenues but claimed it achieved excellent commercial performance, particularly in France, and in stabilising its EBITDA margin. It also claimed it is on course to reach its 2014 objectives. At €9.81 billion, quarterly revenue was down by 2.3% compared to the same period last year. But the operator’s quarterly revenue decrease has slowed since the beginning of the year, when the company reported a decrease of 3% in Q1 2014 and 2.3% in the second quarter. In Q4 of 2013 the company reported a decrease of 3.8%. Orange attributed the improvement largely to better performance in France, Belgium and the enterprise segment. However, all segments except Africa and the Middle East (AME), which grew by 6%, decreased with the biggest single-country market drop in Spain at -6.1%. “Orange’s commercial momentum remained high in the 3rd quarter of 2014 across all our operations, fuelled by our ongoing investment efforts, particularly in very high speed fixed and mobile broadband,” Orange Chairman and CEO Stéphane Richard said. “In France we added a record 65,000 new fibre customers this quarter and we’ll exceed the 3 million mark for 4G customers before year end, thanks to our coverage of 71% of the population at the end of September, consolidating our leadership position. At 5.6 million, most of Orange’s 4G customers are in the UK, with 2.7 million in France and 1.8 million in Spain. The company also reported 220,000 net sales of mobile contracts in France and 100,000 in Spain in Q3, as well as 64,000 new fixed broadband customers in Spain. For the first nine months of 2014, Orange posted revenues of €29.4 billion, a 3.2% decrease year-on-year. The company reported a 6.1% decrease in mobile services in France in Q3, after falling 8.9% in the first half of 2014. Across operating segments but led by the AME region, the telco increased its mobile services customer base by 6.2% compared to Q3 2013. Orange Money, whose primary market is the AME region, grew 53% year-on-year. Fixed services revenue decreased slightly by 0.8% in Q3 2014, following a decline of 1% in the first half of the year. Orange said it expects to achieve its restated margin for the full year to remain stable compared to 2013, and to maintain its financial strength and investment capacity. It said the group is “pursuing a policy of selective acquisitions, concentrating on markets in which it is already present.” This policy is indeed already visible in Orange’s bid for Spanish Jazztel, the biggest take-over attempt the operator has made in a almost a decade. 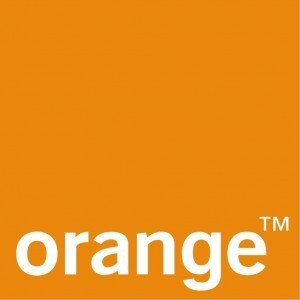 Meanwhile, it has been reported that Orange has called for consolidation in the French market, but stated it is not prepared to take the first step. 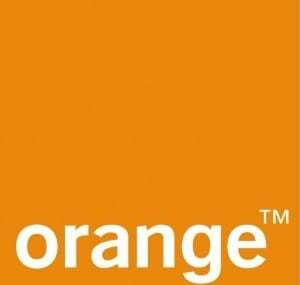 This comes after Orange dropped the idea of merging with Bouygues Telecom in July.